Saturday is farmer’s market day, and my new routine is to pop by after my aerobics class in the morning. I really appreciate the fresh grown fruits and vegetables, and this time of year cucumbers and tomatoes just can’t be beat. 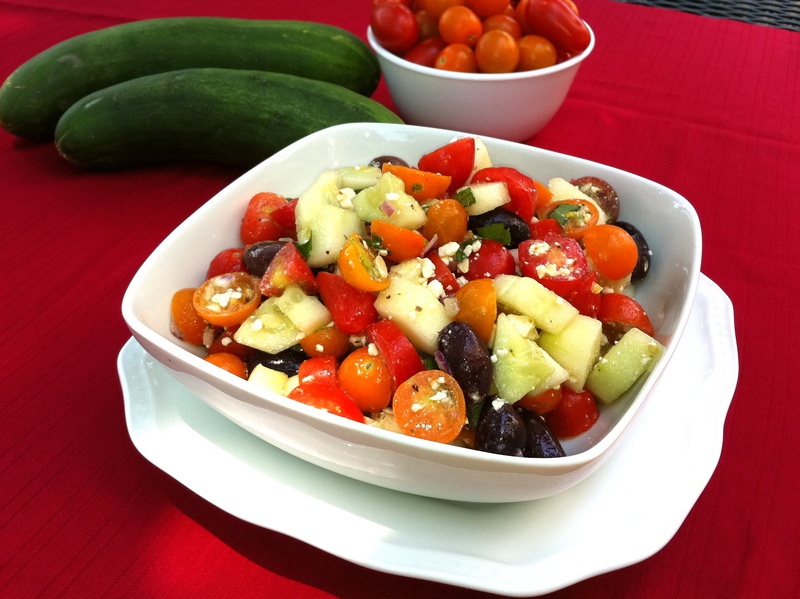 So this week I headed to the market to find ingredients for a Greek Salad. 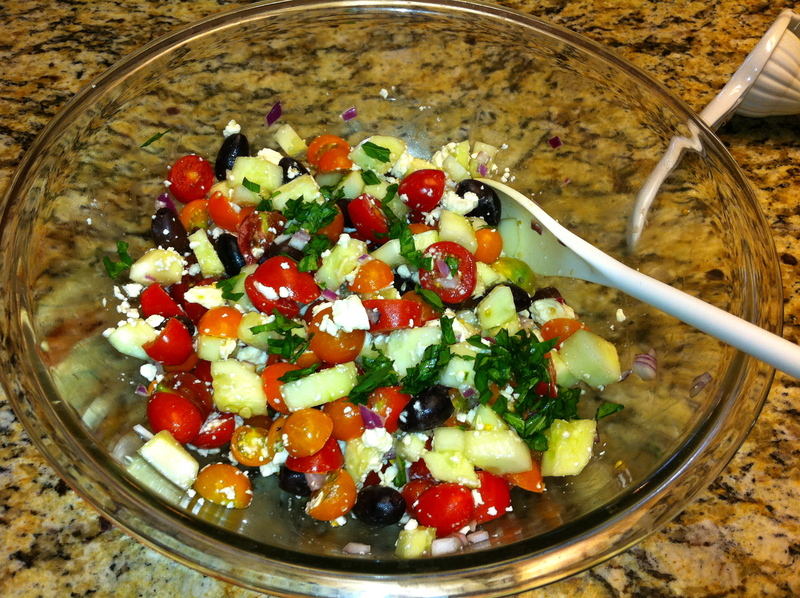 I’m calling this Glenyce’s Greek Salad because my Mom has been telling me what a great salad this is all week and she shared with me the ingredients that need to go in it. Her name is Glenyce. 🙂 She didn’t give me quantities because she says it depends on what you like. But here’s how I made mine. It was delish! Thanks to Christopher Farms in Lathrop, MO for growing the delicious cherry tomatoes and cucumbers. 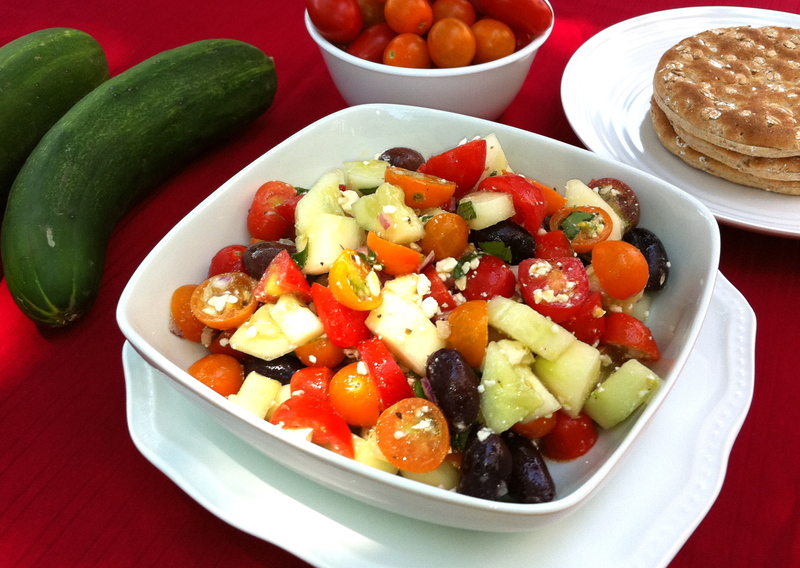 Place cucumber, tomatoes, red onion, olives, feta cheese and basil in a large bowl. 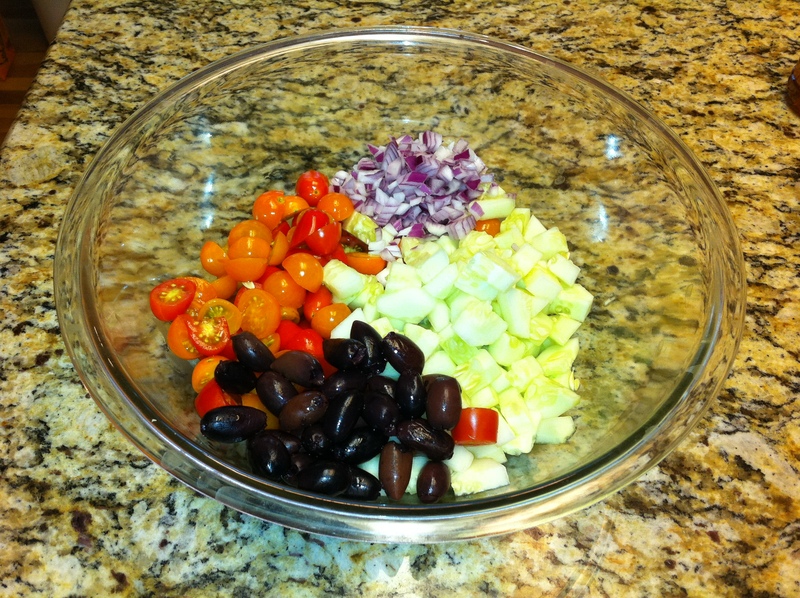 In small container mix together salad dressing ingredients and toss together with salad ingredients according to taste. This should be more dressing than you need.